For the love of Deen & pursuit of happiness. 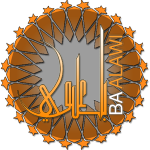 With the coming March 2018 Launch of the New BaAlawi.com & collaboration with Deen.one we will be providing services to the community to extend our Communities Businesses, Job Oppurtunities. This is above and beyond our Core Mission to provide resources, works from all sources and to provide our community with a wide range of knowledge without prejudice or drawing conclusions based on these works. ​And thank you for your support.